We are happy to have Ingrid Plum back to give a workshop to our students. A workshop led by Ingrid Plum exploring composition techniques for electronic and acoustic ensembles, structured improvisation and score notation techniques. In this workshop you will learn a range of listening exercises to benefit composition, production and performance skills. Following this we will explore structured improvisations and students are welcome to bring any acoustic instrument of their choice or use their voice. After a break for lunch we will work in groups on compositional techniques and explore this through practical workshopping. By the end of the workshop participants will have a ‘tool kit’ of exercises they can work with to expand their own practice. 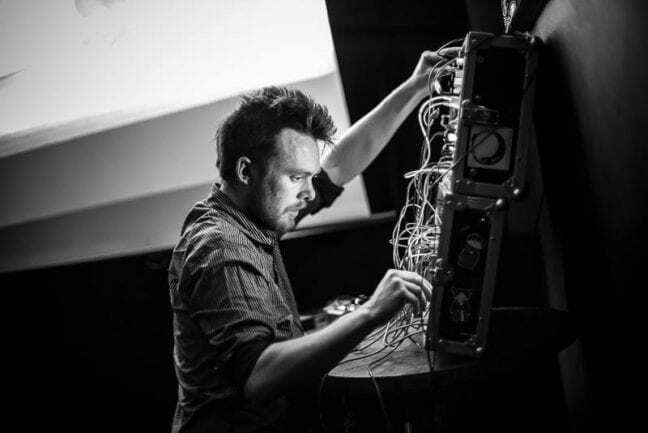 This workshop is suitable for all levels of experience and is best suited to those with an interest in sound art, experimental music, composition and improvisation, but previous practice in those fields is not necessary. Ingrid Plum uses her voice with extended technique, improvisation, field recordings and electronics, to create layered soundscapes, spoken word and songs. Described by The Guardian as “gorgeously atmospheric vocal techniques woven around field recordings & electronics” she has performed and exhibited installation art internationally since 2002, creating work that sits between sound art, improvisation, multi-media installation, neo-classical and contemporary Nordic folk music. 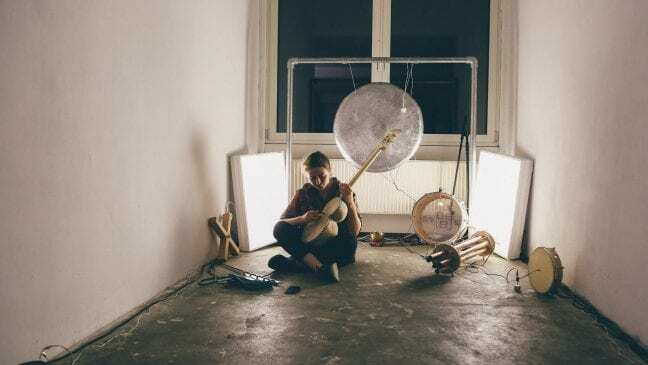 Incorporating her research into folk traditions with field recordings and studying directly with Meredith Monk her recent performances have been described as “succinct and nourishing… a luxuriant space between almost excessive precision and looser improvisation” by The Wire. We are incredibly proud to announce that Distant Animals (Hallow Ground Records) will be performing at the ID Spectral soft-launch event, to be held in the Grand Parade Performance Studio, Brighton on Wednesday 26th September. The Dedekind Cut, Siavash Amini and Kali Malone – he has produced, written and engineered a plethora of contemporary projects and socially-oriented sound works across Europe, often choosing to work with a diverse range of collaborators, including visual artists, choreographers, theologians, lawyers, and political activists. His critically-acclaimed LP ‘Lines’ employs a highly conceptual approach to its genre, incorporating the notion of the drone as both a compositional method, a spiritual approach, and a participatory tool for engaging its audience. We are happy to have Guoda Dirzyte back to give a hands-on workshop to our students. The workshop is free to students of all levels. This workshop will concentrate on using actions, concrete sounds, and random things, rather than being represented in an illusionist/harmonic manner. Intention is to rise awareness of sounds’ potentiality and create work that retains a sense of immediacy, corporeality, and curiosity. Instrument building and preparation session will be based on transforming the identities of seemingly familiar sounds, found objects and instruments. In the improvisation session students will be encourage more to listen and communicate rather then show they technical musical abilities. Concert will be based on playing with trash (or any found objects) and deformed or handmade musical instruments brought by students or created during preparation session. Challenge the distinction that is made in conventional musical practices between musical and non-musical sound. Intend to lean towards developing non-verbal communication skills, and strengthens inter-human, intra-human and trans-human relations, which is far more than conventional music based on consumption can offer. 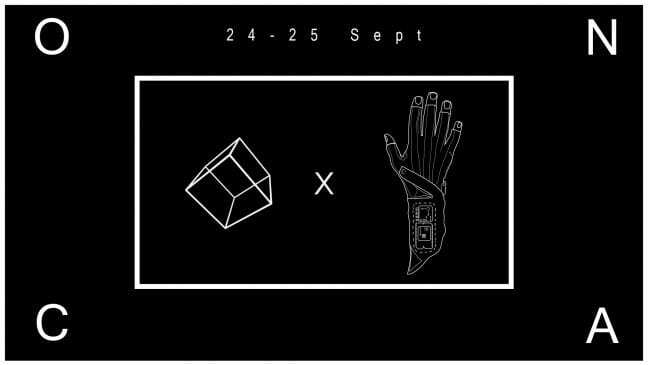 We are happy to be supporting the upcoming exhibition titled ‘Digital Gestures | Human Contact‘ at ONCA gallery for Brighton Digital Festival. The exhibition features works developed by 2nd year students in our course. The works have been developed in partnership with Fab Lab (University of Brighton) and Mi.Mu. The two installations on display in Digital Gestures, Human Contact offer an inspiring, surprising and mesmering journey through digital motion sensor technologies, music and visuals where the audiences become interchangeably performers and observers. 54 Bones is a gesturally based performance art installation for an audience of one. It uses gestural glove controllers to trigger and manipulate sounds, using a series of gestures and movements inspired by British Sign Language. The work aims to extend the ephemeral moment at which sound, language and meaning collide, resulting in a truly intimate, human experience for each person who takes part, leaving them free to interpret what the interaction means to them. Cogflux.01 is an interactive audio-visual installation by PRTCL Collective aiming to break the barrier between audience and performer through the use of motion sensor technology, generative audio and visuals. The piece aims to conceptually adopt the headspace one obtains whilst traveling long distances, which was inspired by Kaihōgyō, a walking meditation process used by Buddhist monks for more than 1000 years. We are very happy to be hosting a special “soft launch” event of the student-led ID Spectral imprint. 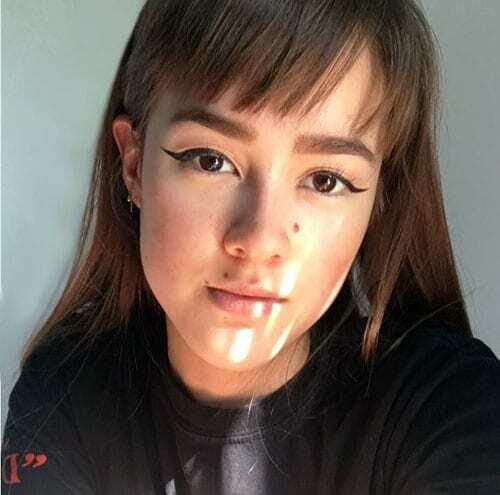 Our students will have the opportunity to meet the label team, learn more about the project, its partners, official distribution contract, IDS radio and future plans as well as experience two unique live electronic music performances from the label’s artists. Students are invited to submit demos for consideration. The event is scheduled for Wednesday 26th of September at 6.30pm in the Grand Parade campus performance studio. You can listen to the label’s radio programmes on Resonance Extra. DMSA Alumni featured at Fort Process Festival. DMSA alumni Jeph Vanger, Jack Lister, Jordan Edge and Guoda Dirzyte will present work as part of this year’s Fort Process Festival. The line-up is exceptional featuring music, talks and installations by Rhys Chatham, Aja, UKAEA, David Thomas Broughton, Kyoka, Grischa Lichtenberger, Max Eastley and more! 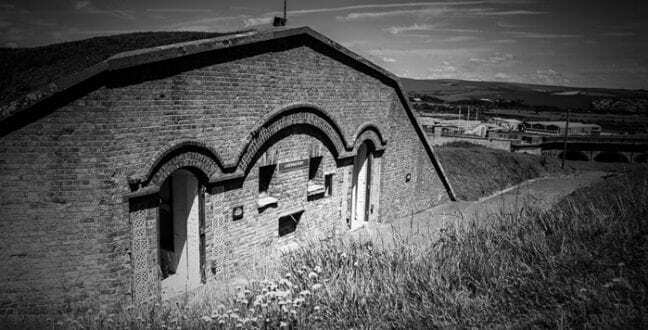 A nice feature of the festival can be found over at The Quietus. 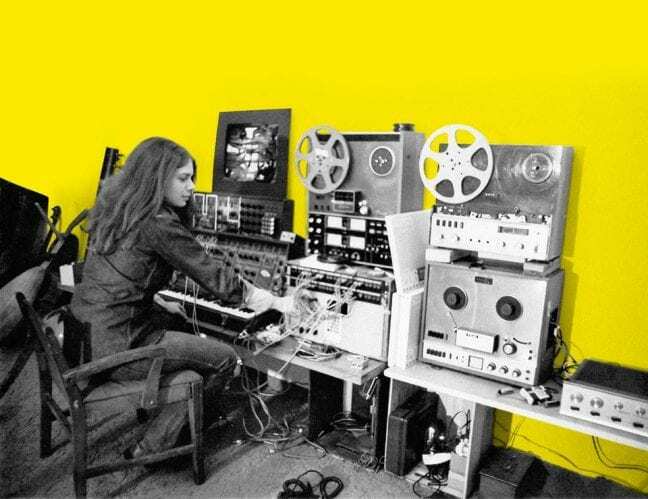 DMSA student Olivia Louvel will be headlining the Synth Remix 2018 UK Tour, a project presenting music by musicians including Delia Derbyshire, Daphne Oram, Laurie Spiegel and Éliane Radigue. The first official ID Spectral launch compilation is happening today – featuring Yaporigami, Ability II, Anji Cheung and work by DMSA students and alumni! More info about ID Spectral can be found here. Dr Maria Papadomanolaki has recently launched the Creative Sound & Music Research and Enterprise Group, a new research initiative focusing on sound and music related research across different media, contexts and applications. The aim of the research group is to create an interdisciplinary forum within the School of Media and across the University of Brighton, where ideas and practices are brought in dialogue with a common goal to develop strategies for impactful, outward and community facing projects, student and staff collaborations and practice-based research. The above strands aim to address the ongoing research and practice topics of its core members but to also open up to debates relating, among others, to ecology, community engagement, heritage, mental health and well being, gender studies, open source technologies, design and innovation. 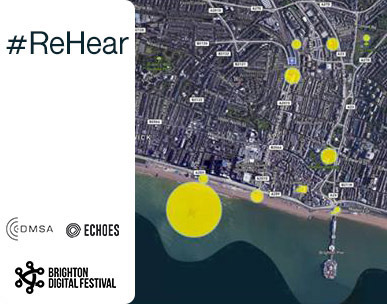 The REG builds upon partnerships with, among others, the Lighthouse, Our Future City, Wired Sussex, Brighton Digital Festival to host events that create awareness and impact around the group’s research topics. This month we talk to Aki Purser. 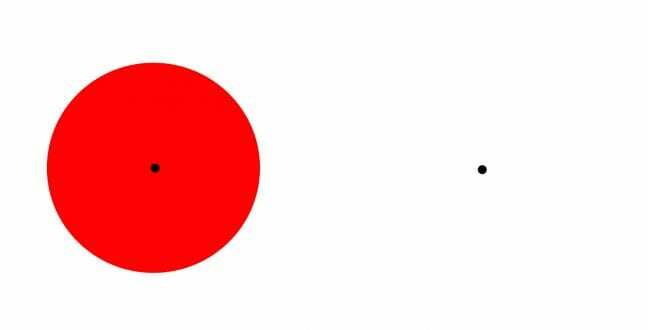 Aki has just graduated from our course and her astonishing audio-visual piece 記憶 (Memory) has won her the ‘Incentive award’ from our partner University in Nagoya Japan. Aki has a few exciting projects ahead, including RBMA Berlin this coming September. AP: It broadened my approach to sound and encouraged me to explore past the rigid rules of traditional music. Over my three years there, the teachers were very supportive and I am incredibly grateful. DMSA: Your degree piece 記憶 (Memory) has won one of the Nagoya awards this year. Can you tell us a bit about the project? 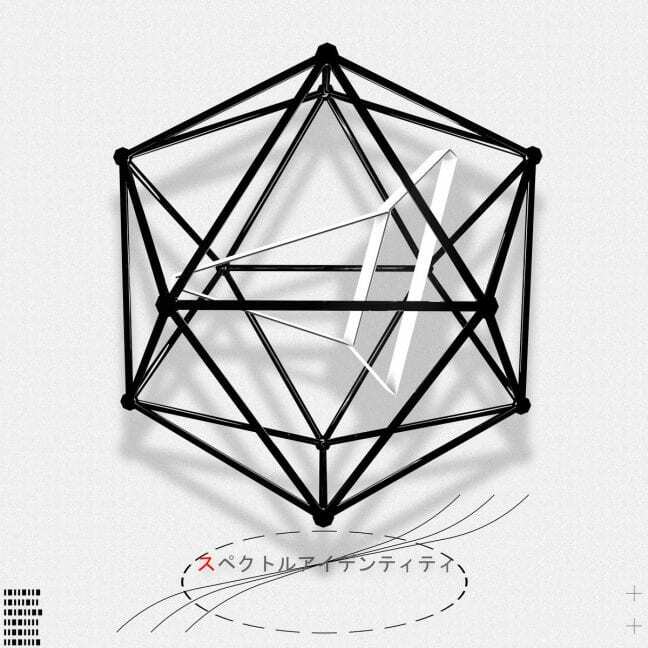 AP: 記憶 (Memory) is an audio-visual piece that explores the fragmented structures of human memory. Developed around the poem 記憶 (Memory) by Tian Yuan and taking inspiration from Phillip Larkins’ An Arundel Tomb, the piece examines the expiration of memory and its inability to withstand interference. The 4 minute film consists of rapidly fluctuating rhythms, upon which runs a continuous stream of black and white imagery. The broken rhythms are used to portray the fractured nature of memory and this is emphasised through sequences of still photography that have been adapted for the moving image. DMSA: You will be attending the RBMA in Berlin in September, this is exciting! Was it difficult to get in and what do you hope to get from it? AP: Honestly I don’t know how I got in. I had been told about it and sent off an application last minute on a whim. I really did not expect anything from it and it was a wonderful surprise. I am trying to approach it with no expectations and am generally trying not to think about it too much, but I am really looking forward to it and feel very privileged to have been offered such an opportunity. AP: We’ll have to see! My first love is sound for film, so hopefully I will find myself going down that route in the near future.